A fish that can live out of water for up to six days and crawl across dry land is being closely watched by James Cook University scientists as it moves south from PNG towards Australia. 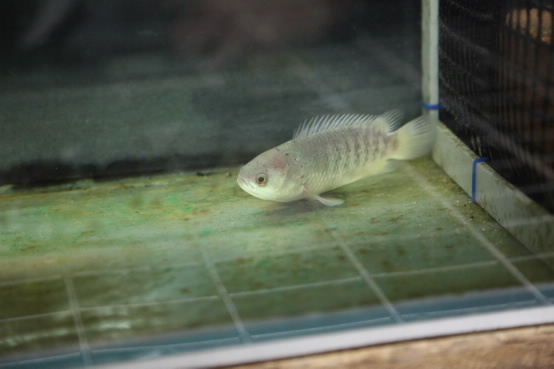 The aggressive climbing perch has already overrun Australia’s two most northerly outposts – the Torres Strait islands of Boigu and Saibai – respectively just four and six kilometres south of the PNG mainland. JCU scientists have been monitoring the perch’s spread in partnership with rangers from the Torres Strait Regional Authority and Torres Strait communities. Team member Dr Nathan Waltham said it would now prove very difficult to eradicate from the two islands, despite only being first officially recorded there in late 2005. JCU researchers are nevertheless measuring the animal’s ability to withstand salinity and temperature and examining how fast it can move across different types of terrain. “It’s only through active education and monitoring, in partnership with relevant authorities and local communities, that we can keep it under control. If we do it early enough,” said Dr Waltham.